Home / Uncategories / Interview With Packeer Ali - "The Controversy Unfolds"
Interview With Packeer Ali - "The Controversy Unfolds"
As we all know regarding the controversial sacking of Chirag United Kerala coach Packeer Ali, Indian Football - The Blog caught up with the Sri-Lankan Coach to uncover the reality that was making the rounds over the Kerala based team. First I must thank coach Bino who was so much interested in bringing me to Chirag, when I was coaching in Bangladesh for Sheik Jamal Dhanmondi last season, I was introduced to Bino by a local Coach of Bangladesh, one Mr. Salahudin. This started our friendship which ultimately led to me becoming the head coach of Chirag and Binoo as Asst. Coach after Mr. Prasanthan(who was always in contact with me through phone), the Manager pressed the Directors of Kerala to bring me soon to Kerala. Secondly I must thank Mr. Baskaran and Mr. Masud for giving me all the powers to work individually in all the situations, which I did to the utmost satisfaction of the officials. Not forgetting the Chirag fans who supported us all the time winning or loosing, always encouraging the team at all times and also my personal fans who live around India for their support to me and the team. Mr. Packeer Ali answers our questions..
Indian Football - The Blog: Take us through your journey before Chirag United Kerala? 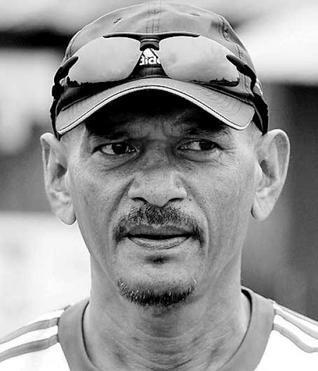 Packeer Ali: I was Head Coach for Abahani K.C of Bangladesh and won the Federation Cup tournament and League Runner up, and I also coached PWD Sports Club. Before taking over the job as head coach of Chirag Kerala, I was a head coach of Sheik Jamal Dhanmondi of Bangladesh, won the B league championship by 1 point. I have coached in the Maldives in the professional league and also I coached an Island team and qualified for the Male league. Indian Football - The Blog: How familiar are you to Indian football? Packeer Ali: In 1977, I played against the All India football team in the Aga Khan tournament in Bangladesh. In 1979, Captained the Sri Lanka National team against the All India in football team in the Pre-Olympics tournament in Singapore. I started my professional football carrier in Indian soil with Vasco sports club in the year 1980 and played in the Federation cup tournament in Eden gardens Kolkata, Rovers Cup Bombay, IFA shield Kolkata, Whittal trophy in Chennai and Local league in Goa. In 1981 as a playing member for Abahani K.C. Bangladesh I played the DCM tournament twice, IFA shield.1985, the Asian cup tournament in Sri Lanka against East Bengal and also friendly matches against Mohammedans in Bangladesh. As a coach in Abahani K.C. Bangladesh I have coached Shabir Basha, Vijayan and Prasantha and won the Federation Cup tournament. My point is we coaches when we attend the higher FIFA Instructors course, we are advised and taught about awareness program, to be updated about the surrounding countries and the football, so thanks to the media, the television, Ten Sports Live I was able to keep myself updated, also the websites helped me a lot...collecting information is important for coaches. 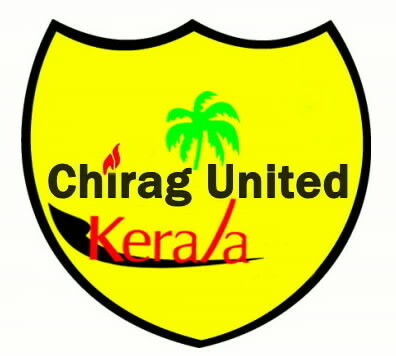 Indian Football - The Blog: What was Chirag United Kerala to you? Packeer Ali: Was another job as a Head coach, but when time went on I made this team as a family, one unit and I was a good coach, father, good friend, motivator to the players. The players liked my training , the way I approached them and accepted me very lovingly, they gained confidence on me. The players meant a lot to me, I want them to become good players and good Human Beings. Indian Football - The Blog: How good were your players when compared to other I-League players? Packeer Ali: The Chirag United players are a young, energetic, skillful, creative, eager to learn the new methods, but less experience in competitive level, whereas the other players are involved in various tournaments around India with their respective clubs. Other players also have the National level experience. So Chirag players need a lot of local competition where all the big teams participate to get the exposure and experience. Indian Football - The Blog: How well did the former Indian International and captain of Chirag United Kerala, Ajayan Nair did his role? Packeer Ali: Ajayan was a pillar in the middle, he played with his heart, commitment, dedication and his roll as a captain was excellent, guiding the players on and off the field...He really was a big asset to the team. 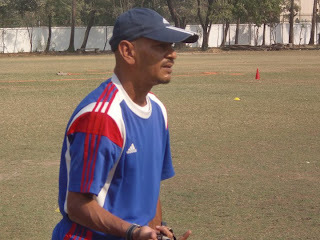 Indian Football - The Blog: What are the best and worst moments for a coach? Packeer Ali: Best is when you win matches the worst is when the players make silly mistakes and loose matches. Indian Football - The Blog: Three features that you wished you had in you club. Packeer Ali: Own practicing grounds, Goalkeeper trainer and a permanent club house with all the facilities. Regarding the Sacking incident..."The controversy unfolds"
Indian Football - The Blog: What was the target assigned by the management of Chirag for the ongoing season? 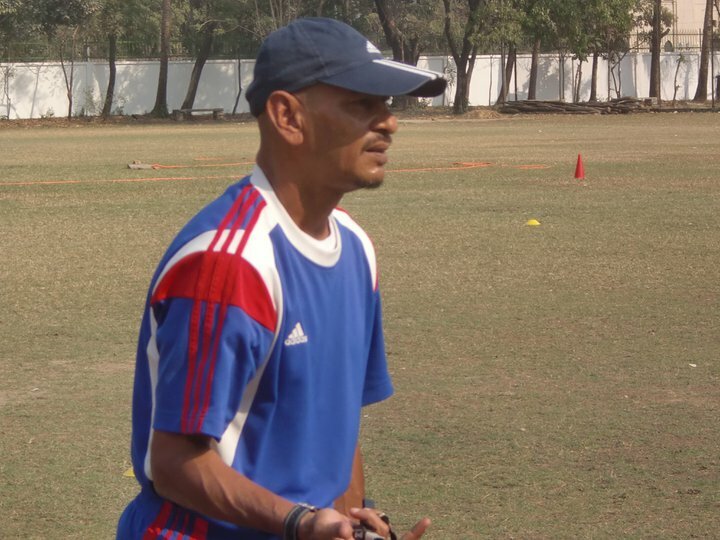 Packeer Ali: There was no specific conditions to me from the Management when I took over Chirag as Head coach. Indian Football - The Blog: What was the reason told by the management for firing you? Have the management tried to contact you when taking the big decision or after it? Packeer Ali: I think I was not fired, there was no specific reasons as there was no letter of termination issued to me with reasons, but just a letter to Mr. Rana Bondyopadhyay the vice President to Mr. Basakaran. We Will change the Coach. We will put Technical Director, Goal Keeper Coach, Physical Instructor and Head Coach also. The team condition is very bad, I have watched Air India match at Pune. We have to change the team strategy and planning without our new recruitment. We do not want to participate our team at E.K.Nayar Trophy. Indian Football - The Blog: How was your reaction to this call from the club? Packeer Ali: It was a very surprising thing for me as I was told by the Management to go on vacation to Lanka, the biggest surprise is after winning against Air India 3-1. More surprising is when the vice President sends an email to Mr. Baskaran that the team played bad, no planning and no str ategy, how come then we won against Air India 3-1, not only we won but we were denied 2 penalties, three shots struck the post and the team played superb football in all departments...Really really surprising. Indian Football - The Blog: It was learned that midfielder Sumon Dutta was involved in the incident which led to your sacking. Do you want to comment anything regarding that?How was your relation with him? Packeer Ali: With regards to Sumon Dutta, its as simple as this,"the survival of the fittest", the fittest and the best to be in the 18 and the best 11 to play. I as a qualified and experienced coach evaluate all players as the same, I have no favorites, family members in the team. I want Chirag United to win. 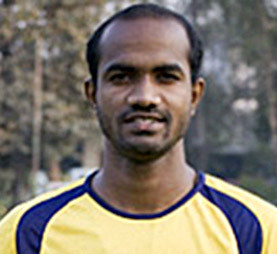 In regards Sumon Dutta and my relation, I have nothing to say, the fans and the higher authorities will see in the future matches about Sumon Dutta's capabilities, mentality and his character and it was highly noticeable in the first match of the IFA shield tournament, that too against a 2nd division team. Indian Football - The Blog: As the season is about to reach an ending phase, Chirag United is still struggling at the relegation zone, how would you justify your role for Chirag’s poor season? I did not have proper pre-season training, just 7 days. Team building was going on during the I-league match period. Injuries and yellow cards were a major issue. Silly mistakes during the match in the crucial areas of the team. Indian Football - The Blog: How well the management supported your work? Packeer Ali: The team is not yet relegated and 6 more matches, the players are a improved lot, all the matches the players did a tremendous job, played exceptional football, but again silly mistakes which cost Chirag Kerala to be in the relegation zone, it is a team which should be in the 5th or 6th on the points table. Indian Football - The Blog: Your take on renaming of a traditional and region based name, Viva Kerala to a company favored name Chirag United Kerala naming after the club owners Chirag Computers? Packeer Ali: With Regards to Chirag United Kerala and Viva Kerala, I am not aware of the whole issue, as it is not my department, my part is the technical side. Indian Football - The Blog: Your view on current status on Indian football? Packeer Ali: I have coached in the highest level in Sri Lanka, Bangladesh. Maldives - but Indian football has developed a great deal but again not like the previous days. The I-league tournament in India is fantastic. Earlier, there were teams from Kerala, Punjab, Mysore, Chennai and other cities...I think as a football coach and a lover of Indian football, youth development and more teams from these parts of India should participate in the I league. Indian Football - The Blog: Would you like to coach any team back in India after this incident? Packeer Ali: I am willing to come back to India if any team contacts me, as the football is fantastic, challenging, very competitive and I would love to be a part of it. India has been a terrific chapter in my life and I don't want for the chapter to end. Indian Football - The Blog: It’s not new that you were a fan plus player’s favorite. Your message to them? "Play well and keep Chirag United Kerala in the i-League...for the next season too.". "I thank them whole heartily for their support during matches, win or loose, standing by me at all times, during Happiness and Sadness...For their prayers to my daughter during her Brain Surgery. Thanks Again." We would like to thank Mr. Nizam Packeer Ali for sharing the incident with us and letting the entire nation know what exactly happened. Indian Football - The Blog will also express special thanks to Varun Kochi - our latest contributor for making the interview possible.